Check out the 2017-2018 Superior-Greenstone DSB Student Art Calendar! This year’s calendar cover features art by Myshalla Grant and inside you will see art from elementary and secondary students from across the district. GCHS is also represented by Valerie Carr. 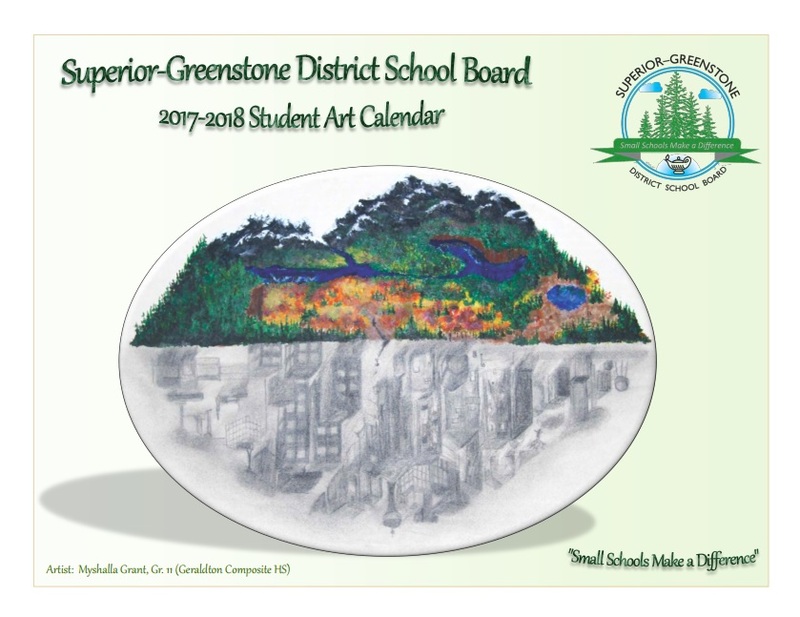 Click on the image above or visit http://www.sgdsb.on.ca/upload/documents/2017-2018-superior-greenstone-dsb-art-ca002.pdf to download a copy of the calendar.